With three sold-out Chicago shows already on his schedule this spring, a fourth Chicago Theatre show has been announced for Sunday, June 2, 2019. Show time is 8:30pm. Reserved seats are going on sale Friday, April 12 at Noon. Tickets ($60/$50/$40/$33) will be available online at Ticketmaster.com, in person at The Chicago Theatre box office or by phone at 800-745-3000. 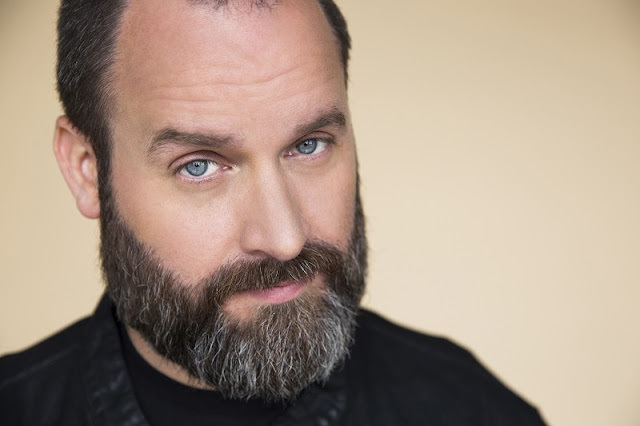 Tom Segura can be seen in the recently- released Paramount feature Instant Family opposite Mark Wahlberg and Rose Byrne. Segura’s television credits include The Late Show with Stephen Colbert, Conan, Workaholics, Happy Endings, The Late Late Show, Comedy Central Presents: Tom Segura, Mash Up, How To Be A Grown Up. Tom Segura has risen to be one of the top comedy theater acts in the country. He also continues to perform at the top comedy festivals in the world, including Montreal’s Just For Laughs Comedy Festival, The Melbourne International Comedy Festival, The Comedy Festival - Las Vegas, The South Beach Comedy Festival, and The Hong Kong Comedy Festival. Tom Segura has an increasing social media following (@seguratom on IG)and also regularly appears on radio shows like the Bennington Show and some of the most downloaded podcasts in the world of comedy such as The Joe Rogan Experience and WTF With Marc Maron among others. His fourth hour-long stand up album Mostly Stories sat atop the iTunes and Billboard Comedy charts for consecutive weeks and his first two albums Thrilled and White Girls with Cornrows debuted at number 1 and continue to play heavily on satellite radio and streaming music platforms. When he isn’t performing on stage or recording a podcast he’s watching College Football or waiting for College Football to come back.